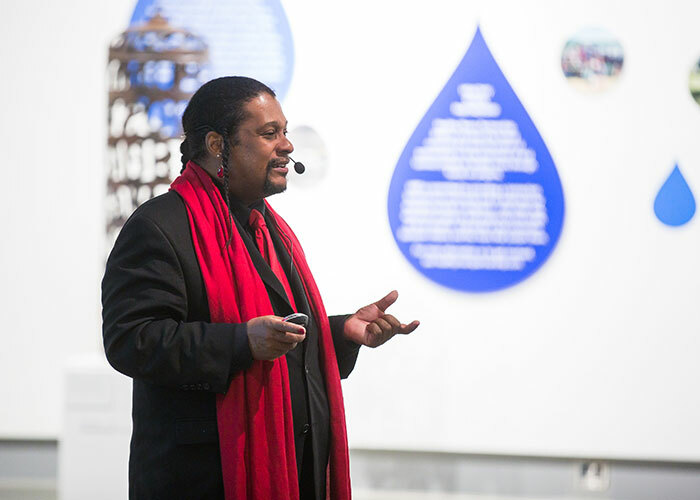 Tuesday-Friday, 2 – 7 p.m. & Saturday, 11 a.m. – 4 p.m.
WATER is essential to life, at times calming, at other times powerful and difficult to control; seemingly abundant, but increasingly scarce. Exploring and understanding WATER in a multitude of forms – as a conduit for transportation and civilization, as an environmental resource, and as one of nature’s most versatile tools – was the theme of KANEKO’s Spring 2016. WATER explores issues impacting water quality and sustainability both within the Midwestern region and globally. 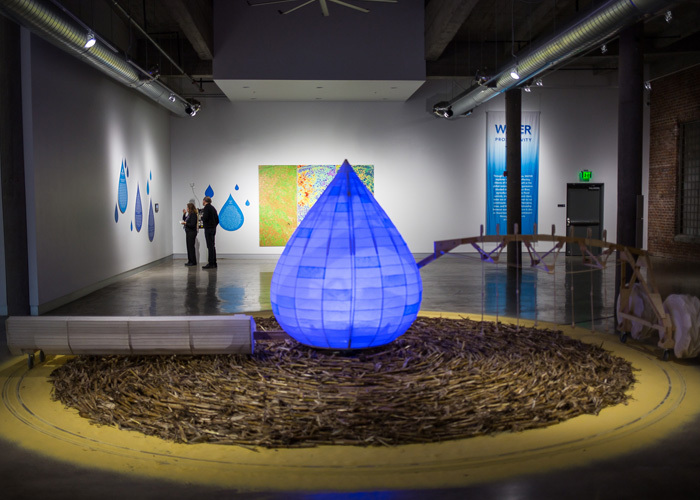 These concepts were highlighted through the combination of scientific data and fine art, while encouraging visitors to consider their own relationship with water – how water impacts our community, our health, and our perspectives. Admission to the gallery is FREE & Open to the Public. Gallery Hours: Tuesday – Friday, 2 p.m. to 7 p.m. & Saturday, 11 a.m. – 4 p.m.
WATER Partners: Aqua Africa, ARC Document Solutions, Conservation Fusion, Healthy Rivers Partnership, Minnesota Marine Art Museum, Missouri River Relief, Nebraska Science Festival, Nebraska Watershed Network, Omaha Stormwater, Platte Basin Timelapse Project, Robert B. Daugherty Water for Food Institute, Solea Water, UNO Center for Urban Sustainability, University of Nebraska Omaha STEM, UNMC College of Public Health, Upstream Weeds, Valmont Industries, and Whispering Roots.